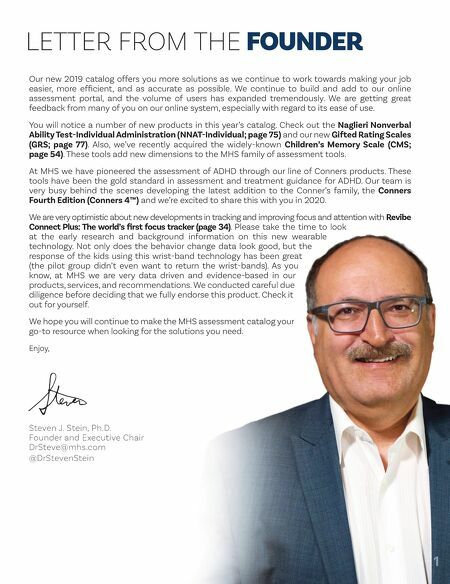 Goldstein & Naglieri E x ce l l en c e I n Asse s s m e n t s E x ce l l en ce I n Asse s s m e n t s E x ce l l en ce I n Asse s s m e n t s ® See page 96 for more details. 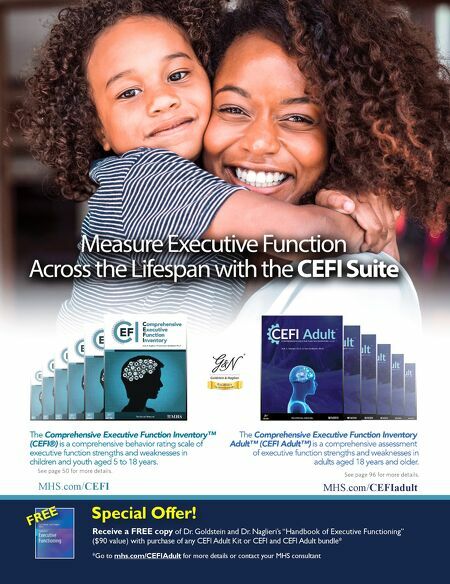 Receive a FREE copy of Dr. Goldstein and Dr. Naglieri's "Handbook of Executive Functioning" ($90 value) with purchase of any CEFI Adult Kit or CEFI and CEFI Adult bundle* Special Offer! *Go to mhs.com/CEFIAdult for more details or contact your MHS consultant FREE MHS.com/CEFIadult MHS.com/CEFI See page 50 for more details.